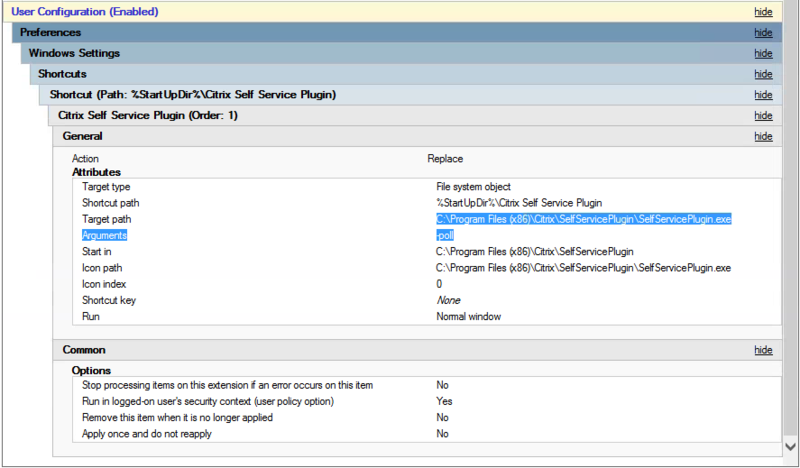 To start Citrix Receiver and enumerate applications without opening the Citrix Receiver window use the following command line for SelfServicePlugin in the startup folder. The -Poll parmeter gets applications while hiding and not requiring Citrix Receiver window to open. -logoff Logs off the current user. -reconnectApps Reconnects to any session. -exit Exits the Self-Service Plug-in.